RAPAPORT... 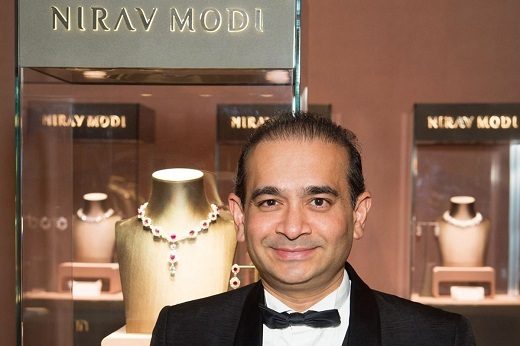 Fugitive jeweler Nirav Modi was arrested in central London Tuesday on behalf of Indian authorities, the city’s police said. Modi will appear at Westminster Magistrates’ Court Wednesday, the Metropolitan Police said in a statement. The diamond mogul, together with his uncle, jeweler Mehul Choksi, allegedly defrauded India’s Punjab National Bank of $2 billion — the largest banking fraud in the country’s history. Indian authorities have been seeking Modi’s extradition after he fled the country last year. In July, an Interpol red notice was issued for his arrest, and the following month India asked the UK for his return to face charges. Antigua and Barbuda, where Choksi is current residing, has yet to agree to his extradition. Earlier this month, UK newspaper The Telegraph tracked Modi down to a GBP 8 million ($10.4 million) apartment in London’s West End. He was also running a diamond business linked to his home address, the report said. Following the report, UK Home Secretary Sajid Javid agreed to extradite Modi to India.